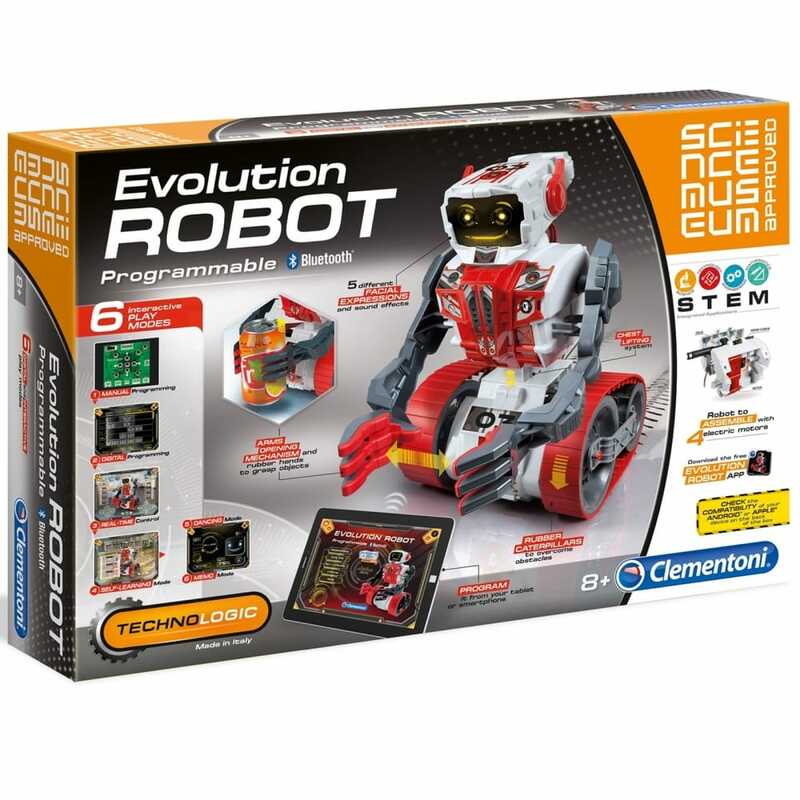 Discover the latest frontier in the world of robotics the Evolution Robot in an easy and engaging manner. Once the robot has been built, children can programme it to pick up and transport objects thanks to its moving arms, torso and crawler tracks. Clementoni has developed a free APP compatible with tablet and smartphone which allows five different play modes: programming, real time, self-learning, dancing and memo! Kit contains: head with micro LED system, base, chest, wheels, worm screws, frictions disc and cogs, chest armour, arms, caterpillar tracks, hand inserts, axles and wheel hubs, wheel spacers, electronic motors, PBC, speaker, battery compartment, screws, stickers and instruction manual. Complete with sounds, music, voice messages and facial expressions, Evolution Robot is sure to become a constant companion!